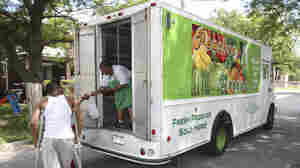 Can Star Power Make New Orleans' Food Deserts Bloom? May 15, 2013  Actor Wendell Pierce, who stars in David Simon's Treme, is trying to combat New Orleans' food deserts by building convenience and grocery stores in the city's neediest areas. But a host of stumbling blocks still make it hard to get fresh, healthful foods to people living in these areas. March 13, 2013  A new clickable atlas shows just how far it is to the grocery store, everywhere in the United States. 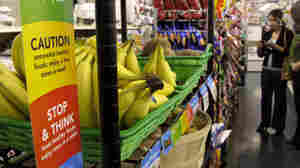 "Food deserts" are the focus of state, local and federal anti-obesity efforts. January 14, 2013  From the dark days of slavery through the civil rights era, soul food like fried chicken and sweet potato pie nourished the African-American community and became a touchstone of cultural identity. But a new documentary asks: Is this greasy goodness doing more harm than good? November 15, 2012  Researchers found that while consumers are sensitive to price, and more likely to buy fruit when the price drops, many other factors prevent people from buying fruits and vegetables. What Will Make The Food Desert Bloom? 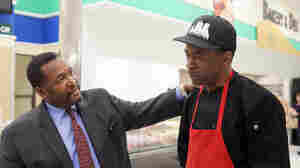 May 1, 2012  Improving the health of people living in food deserts is much more than making sure there are veggies on the shelves. As activists have learned, it takes education and some old-fashioned innovation, too. 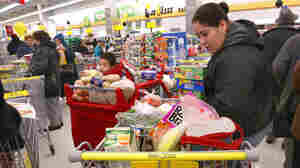 March 20, 2012  A study finds that low-income shoppers care about more than just cost and proximity to fresh produce — they also want choice and quality if they're going to buy it. 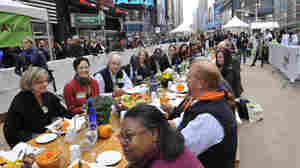 Participants, including Mario Batali, right, at the "Eat In," a Food Day lunch event in Times Square in New York on Monday. 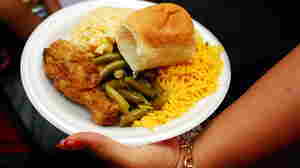 October 24, 2011  An advocacy group says Food Day helps local activists feel connected to a national movement. Today there are more than 2,000 events around to country that will try to spur action around food issues like hunger and nutrition.